Pope Francis has praised Bangladesh’s ongoing efforts to help the hundreds of thousands of Rohingya refugees who have entered the country from neighbouring Myanmar in recent months. The government of Bangladesh, which already hosted some 400,00 Rohingya refugees, has accepted nearly 625,000 more since August, as the Rohingya have fled their home of Rakhine state in Myanmar. Bangladesh has signed an agreement with Myanmar that would allow the Rohingya to repatriate over time, while at the same time expanding refugee camps and constructing tens of thousands of shelters for them in Bangladesh until they are able to return. In addition, the government of Bangladesh is providing medical help, including vaccinations for children, and is registering the refugees so they can receive government assistance. The Pope urged other nations to do more to help the Rohingya in Bangladesh. 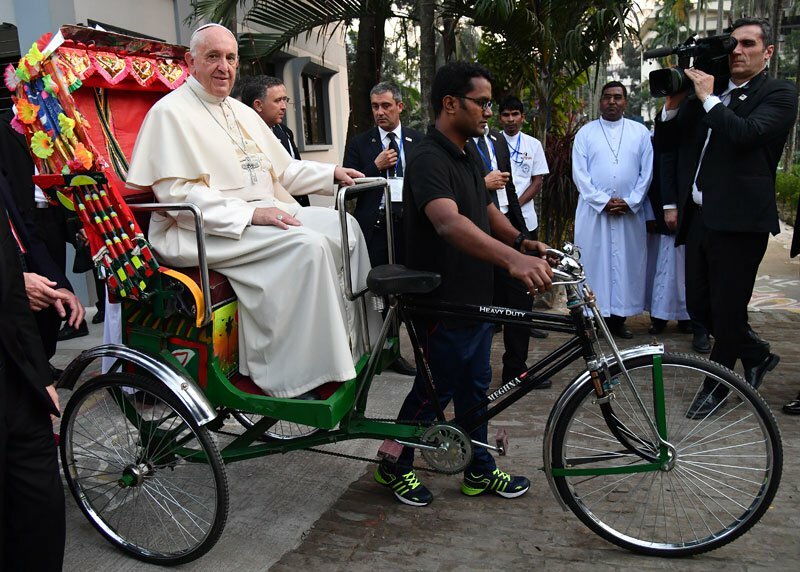 The Pope also praised Bangladesh’s tradition of tolerance. “Bangladesh is known for the harmony that has traditionally existed between followers of the various religions,” he said. In Myanmar, the Pope had avoided using the word Rohingya during his speeches in Yangon and Nay Pyi Taw.